In the 1950s, Anne Innis Dagg was a young zoologist with a lifelong love of giraffe and a dream to study them in Africa. Based on extensive journals and letters home, Pursuing Giraffe vividly chronicles the realization of that dream and the year that she spent studying and documenting giraffe behaviour. Dagg was one of the first zoologists to study wild animals in Africa (before Jane Goodall and Dian Fossey); her memoir captures her youthful enthusiasm for her journey, as well as her naiveta © about the complex social and political issues in Africa. Once in the field, she recorded the complexities of giraffe social relationships but also learned about human relationships in the context of apartheid in South Africa and colonialism in Tanganyika (Tanzania) and Kenya. Hospitality and friendship were readily extended to her as a white woman, but she was shocked by the racism of the colonial whites in Africa. Reflecting the twenty-three-year-old author's response to an "exotic" world far removed from the Toronto where she grew up, the book records her visits to Zanzibar and Victoria Falls and her climb of Mount Kilimanjaro. 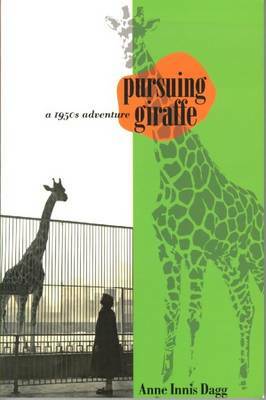 Pursuing Giraffe is a fascinating account that has much to say about the status of women in the mid-twentieth century. The book's foreword by South African novelist Mark Behr (author of The Smell of Apples and Embrace) provides further context for and insights into Dagg's narrative.